American trucking company Saia announced the recent completion of its new Saia LTL Freight cross-dock facility in Strafford, Missouri. Strafford is part of the Springfield, Missouri Metropolitan Statistical Area and is situated approximately 14 miles northeast of the city. "This new terminal is double the size of our previous Springfield-area facility and will allow us to meet the needs of our shippers not only today, but for years to come," said Executive Vice President and Chief Customer Officer Ray Ramu. The Navy will christen its newest Freedom variant littoral combat ship, USS Sioux City (LCS 11), during a 10 a.m. CST ceremony Saturday, Jan. 30 in Marinette, Wisconsin. Sioux City, designated LCS 11, honors the city of Sioux City, Iowa. Adm. Michelle Howard, vice chief of Naval Operations, will serve as principal speaker. 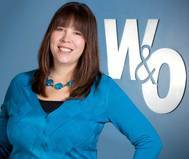 Mary Winnefeld, wife of retired Adm. James “Sandy” Winnefeld, will serve as the ship’s sponsor. The ceremony will be highlighted by Winnefeld breaking a bottle of sparkling wine across the bow to formally christen the ship, which is a time-honored Navy tradition. 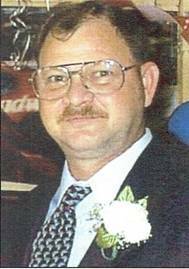 Martin J. Martin Jay “Marty” Canfield, 59, of Iola, Kansas, died Monday, November 2, 2015, at the Allen County Regional Hospital. Marty was born July 22, 1956, in Independence, Missouri. He served in the U.S. Navy for 11 years, and following his time in the service, he traveled working at nuclear power plants before becoming a field service engineer for Boiler Controls. Marty was in the marine engine room automation industry for more than 20 years servicing ships all over the world, working for G.R.Bowler, Inc. Marine & Industrial Controls, managing its VA shop for 13 years. Crewmembers from the Coast Guard Cutter Gasconade rescued a woman from the Missouri River near the I-680 Bridge, Monday. While at homeport, a crewman working late to mow the grass heard screaming and saw the woman floating down the river. Chief Petty Officer Matthew Avery, the Executive Petty Officer, and Petty Officer 1st Class Austin West had the cutter’s small boat in the water to save the woman less than ten minutes after spotting her. The boat crew located the woman approximately 500 yards down river from the bridge, nearly submerged, unconscious. Adm. Scott H. Swift returned to his home state and relieved Adm. Harry B. Harris Jr. as commander of the U.S. Pacific Fleet during a change of command ceremony on Joint Base Pearl Harbor-Hickam, May 27. "The magnitude of this moment is not lost on me, especially given my personal and professional history here in Hawaii and the Pacific," said Swift, who became the 35th commander since the Pacific Fleet moved to Hawaii in 1941. "No one is selected for responsibility such as that of the Pacific Fleet based on personal merit or performance alone. 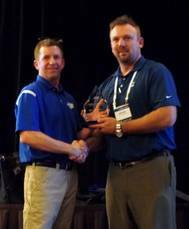 ASA Electronics is honored to have received the overall IBBI Supplier of the Year award, as announced at the recent IBBI meeting in St. Louis, Missouri. The award winners were chosen on the basis of a survey that IBBI members completed that rated suppliers in five key categories: product quality, delivery, technical service, customer service/warranty claims/returns and accurate invoicing. Matt Wood, OEM account manager marine division says, “On behalf of ASA Electronics and the marine division, we would like to thank Tom Broy and his dedicated staff for their continued support. The U.S. Maritime Administration (MARAD) has granted $450,000 to AEP River Operations of St. Louis, Missouri, to modify the Motor Vessel (M/V) Christopher Parsonage into a fuel-efficient hybrid vessel that conserves fuel and reduces emissions. The modification will provide the 180-foot tug boat, which operates along the lower Mississippi River, with a hybrid generator set attached to the main engine that will provide auxiliary power, which would normally be produced from the diesel generator. The Governors of the five Upper Mississippi River States of Illinois, Iowa, Minnesota, Missouri and Wisconsin are seeking President Obama’s support for critical investments in the Upper Mississippi River System as a nationally significant navigation system and a nationally significant ecosystem. In an August 20, 2014 joint letter to President Obama, the Governors expressed their ongoing commitment to the Navigation and Ecosystem Sustainability Program (NESP) authorized by Congress in 2007. Victor Technologies has informed of its 2014 Student Cutting and Welding contest, which offers students cash prizes. Even better, schools associated with student winners will each receive an equipment package valued at more than $4,000. 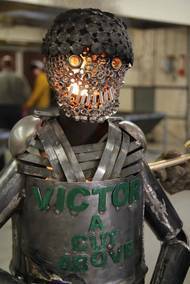 Victor Technologies will award more than $30,000 in equipment and cash prizes as part of its 2014 “A Cut Above” student contest. The contest is open to students in cutting, welding and related programs (e.g., Ag Mechanics) at secondary and post-secondary schools. 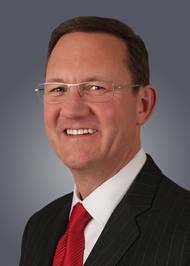 Cummins Inc. has named Jim Schacht General Manager for the Commercial Marine Business. Working in close cooperation with the Cummins distributor network, Schacht will be responsible for all commercial marine business activities for the Engine Business Unit (EBU) globally, including business development and support. He will be located in Columbus, Indiana and will report directly to Ed Pence, Vice President of the High Horsepower Engine Business. 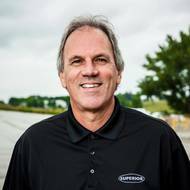 “The importance of the commercial marine market to Cummins has increased significantly over the past several years,” said Schacht. 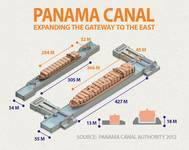 Secretary Foxx Designates Two New Marine Highways. 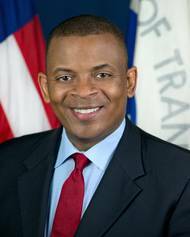 U.S. Transportation Secretary Anthony Foxx has designated two new Marine Highways. The Occoquan, Potomac, and Anacostia Rivers make up the “M-495 Marine Highway Crossing,” and is sponsored by the Northern Virginia Regional Commission and This marine highway connects ports in the District of Columbia, Northern Virginia, and Maryland for passenger services. The upper Missouri River is designated as the “M-29 Marine Highway Connector,” and is sponsored by the Port Authority of Kansas City, Missouri.